The problem with unauthorized sellers and counterfeiters on the major online marketplaces has gotten bad enough to catch the attention of the European Commission. A recent press release published by the EC illustrates just how serious the issue has grown in recent years, particularly with regard to the safety of shoppers who have been injured by dangerous counterfeit versions of e-commerce products. An elderly shopper in Italy purchased a hot plate that she thought was manufactured by a reputable brand. The counterfeit device overheated and caught fire. A woman in Ireland suffered a skin rash after applying lotion she purchased online; she believed that it was a product from one of her favorite brands being offered at a discounted price, but it turned out to be a fake. You may think that the aforementioned problems mostly take place on eBay and not on Amazon, but this is not the case. There is a perception problem on Amazon, whereby shoppers are more likely to believe that they are purchasing directly from reputable brands or from authorized distributors, but these shoppers do not know about ASIN hijacking. ASIN hijacking is the most common tactic used by unauthorized sellers and counterfeiters on the Amazon Marketplace. This malicious practice involves taking over products listed under unique Amazon Standard Identification Numbers, thereby intercepting orders from unsuspecting shoppers who may receive knockoff products or dubious replacements. Rogue sellers and counterfeiters can use various methods to hijack ASINs; some may scam their way into the Buy Box while others may go as far as posing as the original sellers for the purpose of sending their fake inventory to Fulfillment by Amazon centers. Regardless of the ASIN hijacking strategy used, rogue sellers will invariably have to list products that are not theirs, and this happens to be the best way to catch them in the act. If you are a manufacturer or distributor of white label products, you should keep a close eye on your ASINs. As previously mentioned, when another Amazon seller lists your ASINs without permission is the first sign of a hijacking in progress. Not all sellers who list your ASINs without approval will be scammers or counterfeiters. In some cases, sellers are actually shopping while still logged into their Seller Central accounts, and they may have clicked on the incorrect option. In other cases, they may have been conducting market research, or they may be the owners of one or two of your items that they intend to sell on a “used, like new” basis, and they have the right to do so. When you contact sellers who listed your ASINs by mistake, they will likely apologize and stop listing your products. Unresponsive unauthorized sellers are more problematic since you do not know if they could be potential scammers or counterfeiters; you will know when shoppers start leaving negative reviews and complaining to Amazon. Would you like to receive alerts whenever your ASINs are compromised? 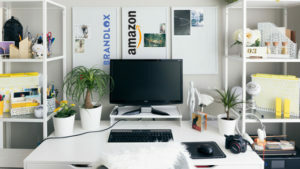 If you have introduced 10 or more new e-commerce products to the Amazon Marketplace, you deserve the protection that Brandlox provides. 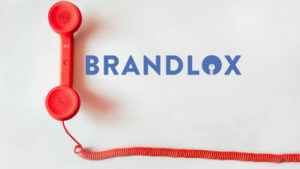 With Brandlox, you receive alerts right after an unauthorized seller lists your ASINs; moreover, you will have the option of sending cease-and-desist legal notices if you suspect that a hijacking is imminent. Learn more about Brandlox and its various e-commerce security tools; contact one of our consultants today at (866) 848-6072.